Organized office events are never going to be looked forward to by everybody, unless of course it’s an all-expense paid trip to Burma, but they are still important to have around the office. While some may not admit it, they are soothing and offer a relaxed environment for their duration. Office events are a nice little break, but they are not always appropriate to have. One of the biggies when considering whether or not to create an office event is the work schedule of the people in the office. Office events take up a lot of work hours so you have to keep time management in mind when planning them. If it is crunch time and one team has been crunching down to get a project finished, consider moving the event to next week just so they can participate too. It is an office so you need to take into consideration time management so that an office event doesn’t impede anything. Time management is essential to the success of a company so you should make sure to take this into consideration. Also, make sure to know what is happening around the office; if someone just lost a relative it might not be the best time for a pizza party. Wait a little bit and give them some time to recover before throwing them into forced social situations. Here’s another tip: make sure to get as many employees involved from as many different parts of the company. It’s a good way to get people talking to others they normally wouldn’t get a chance to meet and it’ll help the eager employees let the top executives know they exist. While you’re hoping these events are fun social gatherings, a lot of employees will see these as opportunities to rub elbows with the higher ups, and that’s a good thing! 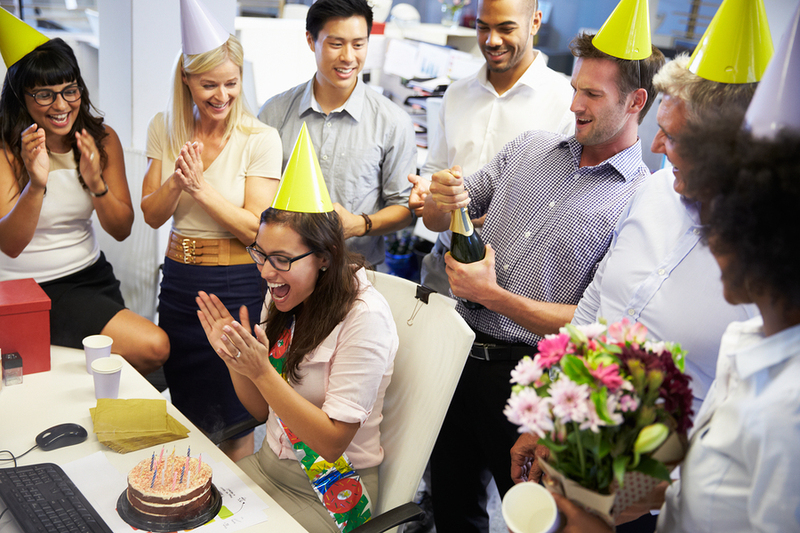 Aside from boosting morale, celebrating birthdays and anniversaries, giving people free pizza, and providing a chance for someone to give an awkward speech, office events are the perfect opportunity for people to intermingle within the office. The main goal of them should be to strengthen interoffice relations. If you adhere to the above rules, taking special note of the time management section, you should have no problem planning a successful office event. Have you organized a recent office event? Did you take any special considerations into account prior to planning? Share with us in the comments! Does Your Corporate Culture Spark Career Passion?